Having created quite a few blogs, I’d like to think that I have a good system down for those essential first steps, and I hope it can be of use to you too. By following these you’ll get a good head start in the world of blogging and hopefully an influx of traffic to give you the motivation to carry on. If you’ve already started, think of this as a checklist as I’m sure there’s a few you haven’t done yet. I can’t tell you how sick I am of hearing people announce their blog when it has less than 5 posts on it and/or consists of nothing more than YouTube videos and re-posted pictures with a one-sentence commentary. If that’s all you have to say, get a Twitter account or use Tumblr. Keep your articles focused, grammatically correct and spell checked. If you speak like a valley-girl or have a tendency to write in txtspk, do your best to hide it and take remedial English classes – no one wants to read that, even your best friends. If you need to set up web hosting, try InMotion Hosting, starting at $4.99/month or head over to our Best Web Hosting Services page for other recommendations. You might also want to consider installing an SEO slugs type plugin, which reduces the length of your permalink URLs by removing common words such as a, the, or. Shorter URLs are better. My favourite plugin in this area is Analyticator, as it connects to your Analytics account and lets you choose the profile from a drop down list, avoiding the need to copy and paste any fiddly codes. If you have no idea how to read all your Analytics data yet, just start collecting it anyway and I’ll go over the major features in a later article. This isn’t essential, but as far I’m concerned any helping hand you can give Google to index your blog is a good thing. Get a sitemap generator such as this, set it up correctly to automatically generate whenever you post something, and you’re halfway sorted. This is a useful, free set of tools from Google. It has a number of functions, one of which involves submitting sitemaps to be indexed. It also keeps a track of 404 errors, and alerts you to malware security issues and even if WordPress updates are available. You could get by without it, but it’s a nice tool to have under your belt. The power of image search should absolutely not be underestimated. Put simply, this plugin will add ALT and TITLE tags to your images. 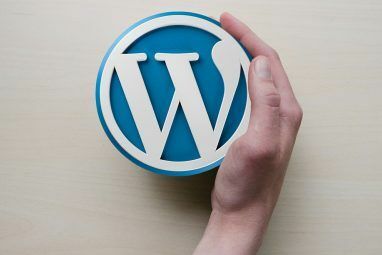 You can do this using the WordPress image uploader, but I don’t know many people who actually bother to do that – so this plugin does it automatically. By adding these to your image tags, you may find a huge influx of traffic from Google Image search. Find a forum related to your particular topic and establish a presence there. Introduce yourself, make some good quality comments or advice on other threads, help some people out. After that, change your signature to include a link to your website, and repeat. This should give you a small trickle of visitors. 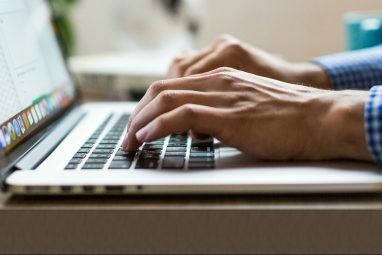 Be sure to announce your articles on your own social networks – Facebook, Twitter, Google+, and StumbleUpon – but don’t fall into the trap of promoting absolutely everything you write. Pick one or two of your best posts to promote, and you’ll be far more likely to get a good response and not piss people off in the process. Done all that? Awesome, you should start seeing results soon. 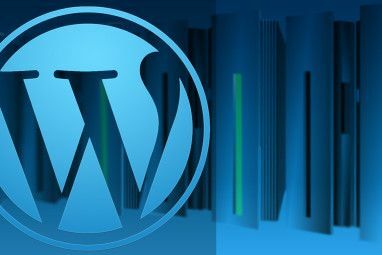 Got any other essential first steps or WordPress plugins you always install? Let us know in the comments! Explore more about: Blogging, Webmaster Tools, Wordpress. I am planning to build my own blog on wordpress.org. definitely your all these steps will help me to build a proper plan. 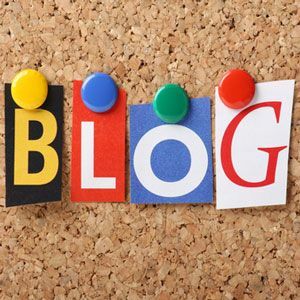 I would like to request a article to write on “How can I move my blogger blog on wordpress?”. Thanks for this article. Thank you so much for this post. Very helpful indeed for us newbies trying to navigate the blogosphere. Regarding #1. I have found that the best way to build a collection of good, quality posts is to post on a schedule. I post every Monday, Wednesday and Friday. WordPress has a built in scheduling function, and thanks to a simple plugin called Editorial Calendar, I can plan my posts for the weeks ahead. Domain is key, and maybe also a WordPress Theme, there are so many great ones out there, for cheap or even free! I'm bookmarking this! Going to be moving from a free wordpress blog (my domain name) to a .org. Among other things, there are plug-ins you can't use on wordpress.com, and Google Analytics is one of them. Their "site stats" do okay, but I'd like to have the whole thing. And use some affiliate programs! Glad to hear it Jennifer. WordPress.com is *very* restrictive, and I always recommend people start off straight away on their own domain and custom WP install. Great tips. Glad to see the Google Sitemap and Analytics setup. I'd also add All in One SEO Pack or the Yoast SEO plugin...but maybe that doesn't have to be in the first 10 steps of setting up your blog...at least within the first 25, though. Great post I have changed the permalinks of my wordpress blog and now looks alot better then before.